ANCHOR SHIPPING & FOUNDRY CO. LTD.
Anchor Shipping & Foundry Co. Ltd., was incorporated as a limited liability company on 31 March 1901 from the earlier companies of Nathaniel Edwards & Co. (1857 - 1880) and The Anchor Steam Shipping Company (1880 - 1901). At the time the Company was operating three ships - ss Charles Edwards (1864/141 tons), ss Kennedy (1865/193 tons) and ss Waverley (1883/245 tons). The Anchor Company never departed from its original aim of providing a service for the people of Nelson and the West Coast of the South Island. It was never large; for the whole of its history it owned only 37 ships and was at its peak around 1930, when there were 16 vessels in the fleet. 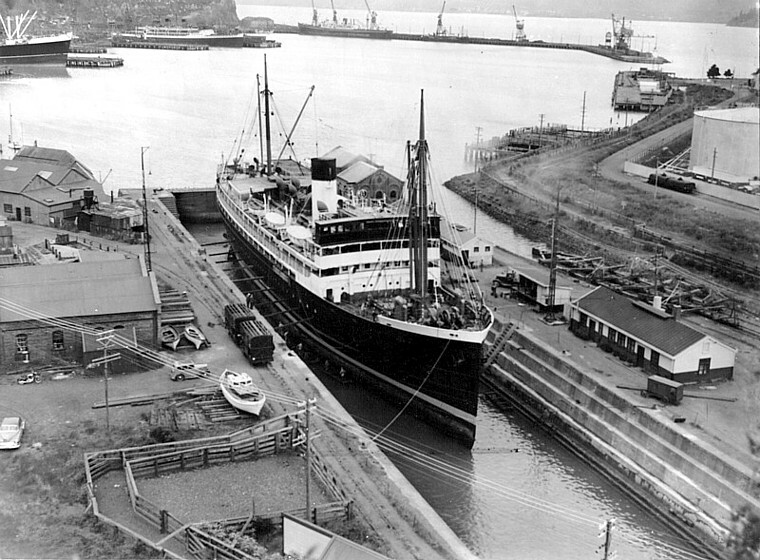 A significant date in the Company's history was 1908 when the Union Steam Ship Company acquired a 50% shareholding. This was not known at the time as it was done in complete secrecy by the use of nominees. Union also made similar investments in most of the other coastal shipping companies giving them control over operations and future expansion. This aside, the Company retained its own Board of Directors and Management almost to the end. From August 1909, the Company operated a three return nightly trips per week ferry service between Nelson and Wellington. The Nikau (1909/248 tons) was the first ship in the service and was originally partnered by Waimea (1909/454 tons), but she was never a regular in the ferry service. This service was maintained until April 1953 when the last ship Ngaio (1929/3,566 tons) was withdrawn amidst mounting losses. 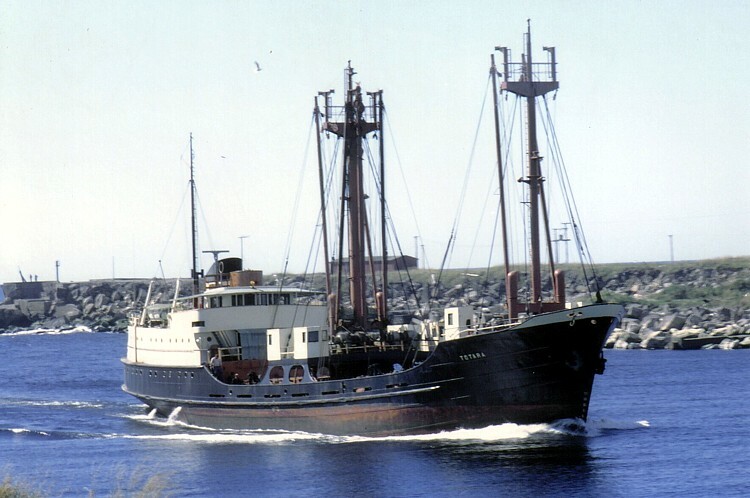 A daily freight service was maintained between the two ports in conjunction with the Pearl Kasper Shipping Company, utilising their Konanda and (from 1955) Anchor's Matipo. Over the years the Company acquired or had built some fine ships. In order to conform with the rest of the site however, we shall only concern ourselves with the latter years of the Company. Photo from Nick Tolerton's "Below The Timeball"
After World War 2, the Company set about replacing some of the older units of the fleet. Most urgent was the replacement of the two ferries employed in the Nelson - Wellington ferry service. These were the steamships Arahura (1905/1,596 tons) and the Matangi (1908/1,366 tons). Due to the rapid development of air transport after the War, it was decided to acquire only one ship and in 1949, the Company alerted shipbrokers worldwide to look for a suitable second-hand vessel. A ship was found in Honolulu - the Hualalai (1929/3,566 tons) - which had just been withdrawn from service there. Although older than the Company would have liked, she was in sound condition and was duly purchased. She arrived in Wellington on 29 October 1949, where it was realised that she required substantial and costly alterations. It was obvious the the ship - now nmed Ngaio would not be ready for Christmas as hoped. 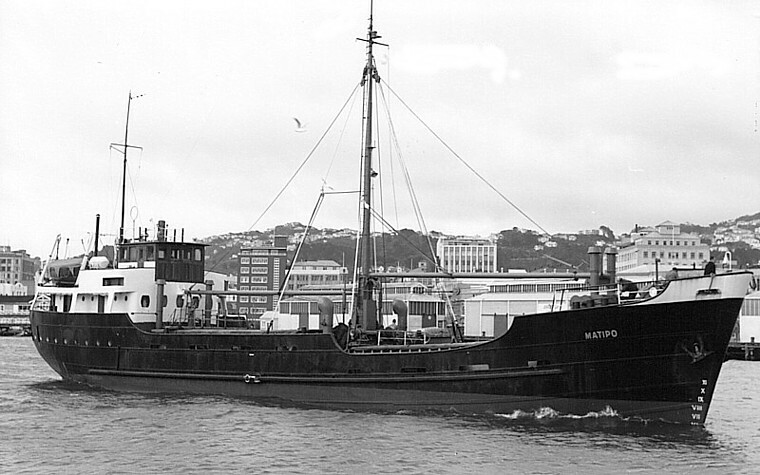 It was not until 22 May 1950 that she was able to make her first trip from Wellington to Nelson and the Matangi was immediately withdrawn for survey. This she failed and she was promptly laid up in Shelley Bay, Wellington for disposal. Her former consort in the service, Arahura, had failed her survey a year earlier. The Ngaio was on her own. 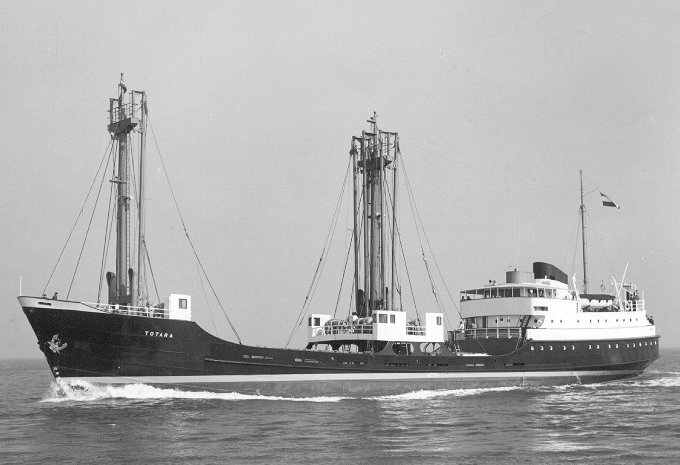 Coal from the West Coast had always figured large in the Companys operation and in 1947 placed an order with Henry Robb Ltd. for a twin screw motor ship which became Puriri (1,248grt). Although fitted with a full outfit of cargo gear including a jumbo derrick capable of lifting 20 tons, she was in effect a small collier not entirely disimilar to Union Company tonnage of the time. Launched on 22 July 1948, she sailed to New Zealand via Australia and arrived in Wellington on 8 January 1949 with 800 tons of Newcastle coal. Much of her life was spent carrying bulk cargoes around the coast, although she did carry general cargo and timber from time to time. 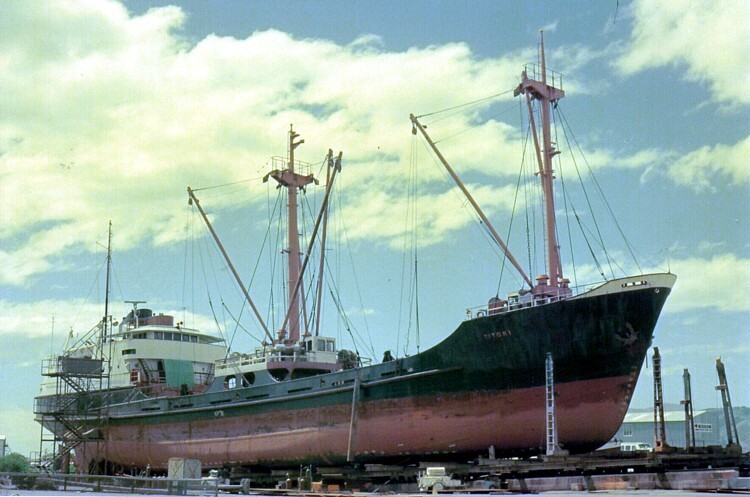 Her final years of service saw her engaged full time on the Company's Nelson - Onehunga route carrying general cargo and she was sold out of the fleet in 1974. With the completion of Puriri, the Company placed a further order with Henry Robb Ltd. for a similar but smaller ship. Consideration was given to the requirements of smaller ports such as Mapua and Motueka especially in regard to length and draught. Launched on 28 July 1949 as Mamaku, she sailed from Leith on 15 October 1949 for Middlesbrough where she loaded a cargo of coke for Auckland, arriving there on 23 December. 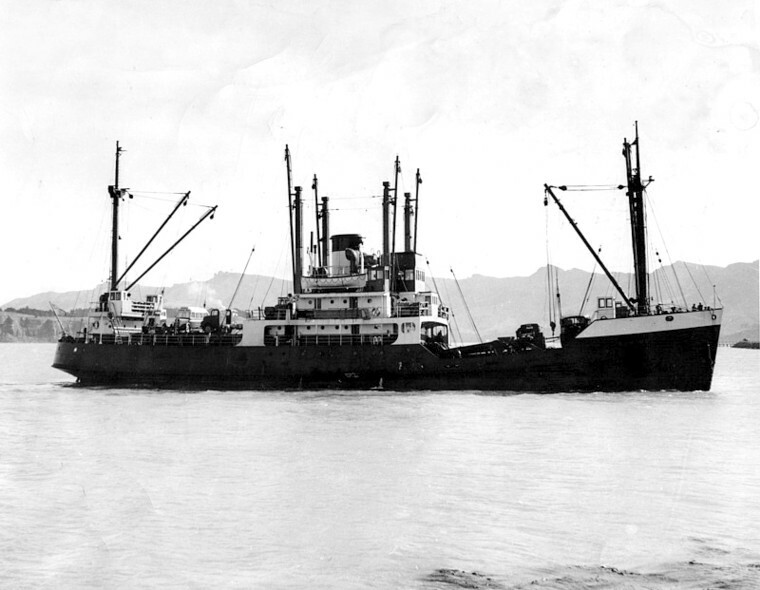 Mamaku spent most of her life in the general cargo trade between Nelson, Motueka and Onehunga, although she also shipped coal from the West Coast to North Island ports on occasion. After giving good service to the Company, she was sold in 1972 for further trading. Further replacement of the fleet was required and Zephyr II was chartered for twelve months whilst two purchases of second-hand tonnage was made in Europe. First of these to arrive in New Zealand was the Dutch built coaster Birgitte Basse (1953/398grt) which berthed in Wellington on 8 January 1955 and renamed Matipo shortly after. She was closely followed by the Purple Emperor, British built in 1949 with a gross tonnage of 553, arriving in Wellington on 16 January 1955. After a refit, she was renamed Towai and entered service in March, her first cargo being fruit loaded in Mapua and Motueka for Wellington. Towai was used for general trading and in December 1966 transferred to the Nelson - Wellington service on the withdrawal of Pearl Kasper's Konanda. She remained on this trade until it was ended in March 1969 and was sold shortly thereafter. Matipo spent almost all her time in the daily service between Nelson and Wellington, being a most suitable ship for this trade. Competition from the Picton - Wellington rail ferries reduced it to a one ship trade in January 1968 and she made her last crossing on 29 January. She was sold for further trading. The replacement programme was almost complete. An order was placed with the Dutch shipbuilders E.J. Smit & Zoon of Westerbroek for a new collier capable of carrying approximately 850 tons and this ship was launched as Totara. 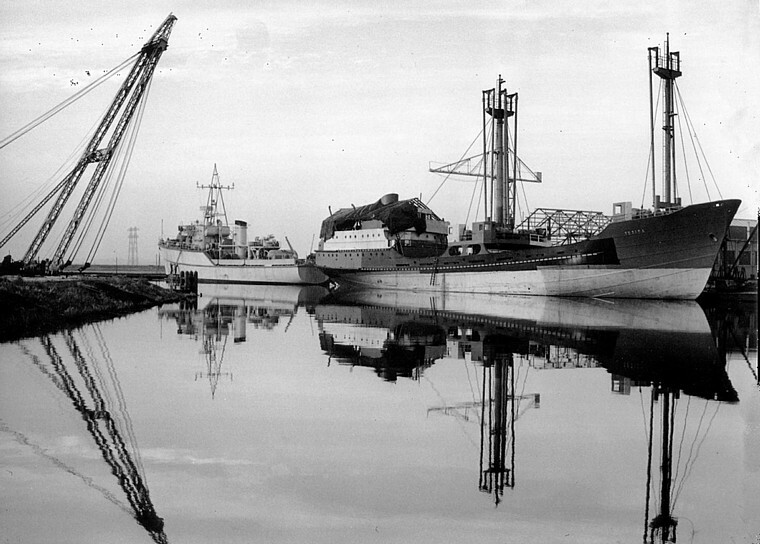 After loading sodium sulphate at Rotterdam, she proceeded to Dover for stores and left there on 8 April 1957 for Auckland where she arrived on 25 May. As Totara was being completed, the Company placed another order with the same yard for a sister ship. Launched on 30 November 1957 and named Titoki, she was handed over on 28 March 1958. For her delivery voyage, she loaded 400 tons of steel at Genoa for discharge at Lyttelton and then proceeded to Nelson where she arrived on 31 May. For almost their entire lives, they were employed carrying coal from the West Coast and dolomite from Tarakohe to North Island ports. Totara carried her last shipment of coal from Greymouth to Wellington on 12 June 1975, then transferred to the Nelson - Onehunga service replacing Pukeko which was sold. 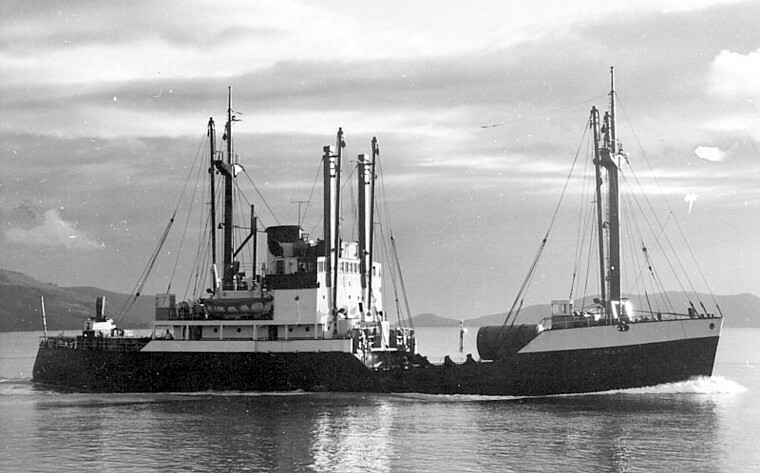 Titoki continued in the bulk trades until she replaced Totara in the Onehunga trade in April 1978. Totara was sold to a Singapore company and returned to New Zealand a number of times as Pacific Bold. From 1972, management of the fleet was in the hands of the Union Company and in December 1973 the Company name was changed to Anchor-Dorman Ltd. to incorporate the interests of Dorman Engineering Co. Ltd. of Nelson, which the Union Company had acquired in 1969. In the early 1980s, Union decided that the Nelson - Onehunga trade should be containerised and the original intention was to give the new ship a traditional Anchor name and operate in their colours. This was not to be and the new ship arrived as Union Nelson in March 1982 with full Union Company colours. Titoki was withdrawn and before Union Nelson even entered service, a new crew was aboard preparing for her departure overseas. With her sale, the Anchor name disappeared forever with the shipping side of the business being renamed Union Maritime Services and the engineering interests were sold to a New Plymouth company on 31 March 1984. The Anchor Shipping & Foundry Co. was "finished with engines". 22 July 1948: Launched by Henry Robb Ltd., Leith. 8 Jan 1949: Arrived at Wellington at the end of delivery voyage. 12 Feb 1959: Loaded the first consignment of cement produced by NZ Cement Company at Cape Foulwind (near Westport) for shipment to Gisborne and Napier. Apr 1974: Withdrawn from service and laid up at Nelson. Her last few years of service had been between Nelson and Onehunga. 1974: Sold to Maldives Shipping Corporation, Male, Maldive Islands and renamed Maldive Pilot. 1975: Sold to Power Shipping (Pte) Ltd., Singapore and renamed Yellow River. Dec 1979: Sold to Ya Chou Steel Manufacturing Co. Ltd., Kaohsiung for demolition and delivered 16 December. 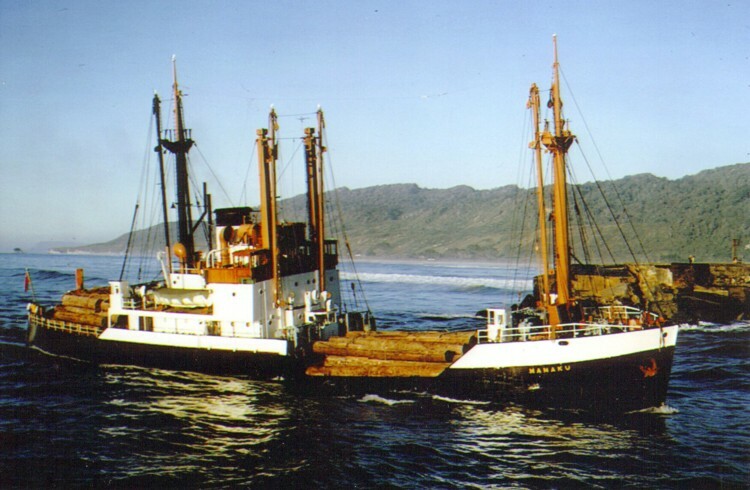 Mamaku entering Greymouth in January 1973 with a cargo of logs from the Solomon Islands. 28 July 1949: Launched by Henry Robb Ltd., Leith. 23 Dec 1949: Arrived at Auckland on completion of delivery voyage. 1972: Sold to Pacific Islands Transport Ltd., Port Vila. No name change. Returned to New Zealand on a number of occasions. Details of this ship already appear on the Dutch Coasters page, so there is little point repeating them here. 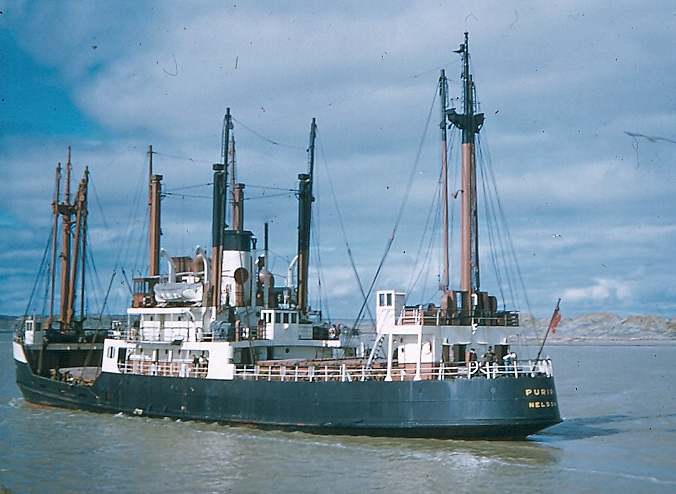 Totara arriving at Greymouth in 1972. Apr 1957: Completed by E.J. Smit & Zoon, Westerbroek, Holland. 25 May 1957: Arrived Auckland at completion of her delivery voyage. June 1975: Transferred to Nelson-Onehunga general cargo service, replacing Pukeko. Apr 1978: Withdrawn from service and sold shortly thereafter to Pacific Navigation, Singapore and renamed Pacific Bold. As such, she made several voyages to New Zealand. 1987: Sold to Island Enterprises Pte Ltd., Male, Maldive Islands and renamed Antares. 1990: Sold to Island Trade & Travel Pte Ltd., Male and renamed Sygnus. 1991: Sold to Maahal Enterprise Ltd., Maldives and renamed Riviheli. Apr 2000: Reported as sold to shipbreakers in Mumbai, India. Totara under construction in Holland. Titoki on the Slip at Nelson in October 1975. Mar 1958: Completed by E.J. Smit & Zoon, Westerbroek, Holland. 31 May 1958: Arrived at Nelson via Lyttelton at the completion of her delivery voyage. 31 Aug 1975: Grounded on the northern side of the Grey River while entering port. Refloated later that day using her engines and three bulldozers. Repaired at Nelson, costing $70,000. Apr 1978: Transferred to Nelson-Onehunga trade, replacing Totara. 21 Mar 1982: Withdrawn from service and immediately sold to Tropic Island Shipping Co. Pte Ltd., and renamed Wild Rover. 1985: Sold to Trans American International, Singapore and renamed Varuna. 1985: Sold to Golden Pearl Shipping Co. Ltd., Valetta, Malta and renamed Golden Pearl. 1986: Sold to Intercity Shipping Co. and renamed Intercity. 1987: Sold to Indian shipbreakers and arrived Mangalore 2 October 1987 to be broken up. Apr 1949: Completed by J. Pollack & Sons, Faversham, for E.J.& W. Goldsmith Ltd., London, as Golden Hind. She had originally been laid down in 1945 as Sea Hurricane for the Royal Navy. This order was cancelled in 1946 and work suspended. Sold to owners as listed above in 1948 and work resumed. 1952: Sold to Coastal Tankers Ltd., London and renamed Purple Emperor. 16 Jan 1955: Arrived Wellington at completion of delivery voyage. She MAY have arrived as Purple Emperor, being renamed shortly after. 1972: Owners listed as Akana Pty Ltd., and managers Hetherington Kingsbury Pty Ltd.
1974: Sold to Sea Freight Pty Ltd., Port Moresby, Same name. 1977: Sold to Ali Ahamed, Male, Maldive Islands and renamed Mina Maaree. 1979: Sold to D. Ibrahim Kaleyfaanui, Male and renamed Maafahi. late 1983: Scuttled off Male, Maldive Islands.